What happens if you die without a will? Learn about intestacy in Kansas. If you die without a will in Kansas, your assets will go to your closest relatives under state “intestate succession” laws. Here are some details about how intestate succession works in Kansas. Only assets that would have passed through your will are affected by intestate succession laws. Usually, that includes only assets that you own alone, in your own name. property you own with someone else in joint tenancy. To learn more about these types of assets, go to the How to Avoid Probate section of Nolo.com or read about Avoiding Probate in Kansas. Who Gets What in Kansas? In Kansas, if you are married and you die without a will, what your spouse gets depends on whether or not you have living descendants -- that is, children, grandchildren, or great-grandchildren. If you don’t, then your spouse inherits all of your intestate property. If you do, they and your spouse will share your intestate property 50/50. Example: Barrett is married to Jed and also has a 12-year-old daughter from a previous marriage. Barrett owns a house in joint tenancy with Jed, plus $200,000 worth of additional, separate property that would have passed under a will if Barrett had made one. When Barrett dies, Jed inherits the house outright; it is not intestate property. Jed also inherits $100,000 worth of Barrett’s additional property. Barrett’s daughter inherits the remaining $100,000 share of Barrett’s property. For children to inherit from you under the laws of intestacy, the state of Kansas must consider them your children, legally. For many families, this is not a confusing issue. But it’s not always clear. Here are some things to keep in mind. Adopted children. Children you legally adopted will receive an intestate share, just as your biological children do. Kan. Stat. Ann. § 59-501. Foster children and stepchildren. Foster children and stepchildren you never legally adopted will not automatically receive a share. Children placed for adoption. In Kansas, children you placed for adoption and who were legally adopted by another family are entitled to an intestate share of your estate. Kan. Stat. Ann. § 59-2118. Posthumous children. Children conceived by you but not born before your death will receive a share. Kan. Stat. Ann. § 59-501. Children born outside of marriage. If you were not married to your children’s mother when she gave birth to them, they will receive a share of your estate if your paternity has been established under Kansas law. Kan. Stat. Ann. § 59-501. Grandchildren. A grandchild will receive a share only if that grandchild's parent (your son or daughter) is not alive to receive his or her share. Kan. Stat. Ann. § 59-506. If you want to read the law, Kansas Statutes § 59-501 covers parent-child relationships. This can be a tricky area of the law, so if you have questions about your relationship to your parent or child, get help from an experienced attorney. Will the State Get Your Property? If you die without a will and don’t have any family, your property will “escheat” into the state’s coffers. However, this very rarely happens because the laws are designed to get your property to anyone who was even remotely related to you. For example, your property won’t go to the state if you leave a spouse, children, grandchildren, parents, grandparents, siblings, nieces, nephews, or cousins, up to the sixth degree of relation. Here are a few other things to know about Kansas intestacy laws. Survivorship period. To inherit under Kansas intestate succession statutes, a person must outlive you by 120 hours. So, if you and your brother are in a car accident and he dies a few hours after you do, his estate would not receive any of your property. Kan. Stat. Ann. § 58-709. Half-relatives. “Half” relatives inherit as if they were “whole.” That is, your sister with whom you share a father, but not a mother, has the same right to your property as she would if you had both parents in common. Posthumous relatives. Relatives conceived before -- but born after -- you die inherit as if they had been born while you were alive. Kan. Stat. Ann. § 59-501. Immigration status. Relatives entitled to an intestate share of your property will inherit whether or not they are citizens or legally in the United States. Someone who causes your death. Someone who feloniously kills you or arranges for you to be killed will not receive a share of your property. Kan. Stat. Ann. § 59-513. Advancements. If you leave property to a relative as an advancement on their inheritance, the amount of this gift is subtracted from the relative’s share at the time of your death. Kan. Stat. Ann. § 59-510. To learn more about intestate succession, read How an Estate Is Settled If There’s No Will. You can find Kansas’s intestate succession law here: Kansas Statutes § § 59-501 to 59-514. 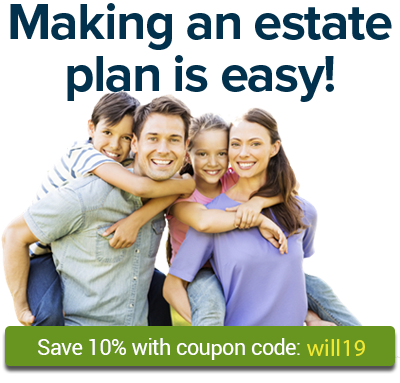 For more about estate planning, go to the Wills, Trusts & Probate section of Nolo.com. Need a lawyer? Search for an experienced estate planning attorney with Nolo’s Lawyer Directory.